Announced via a press release sent out on Sonic the Hedgehog’s 26th anniversary, Data Discs will be releasing a vinyl soundtrack for Sonic Mania! 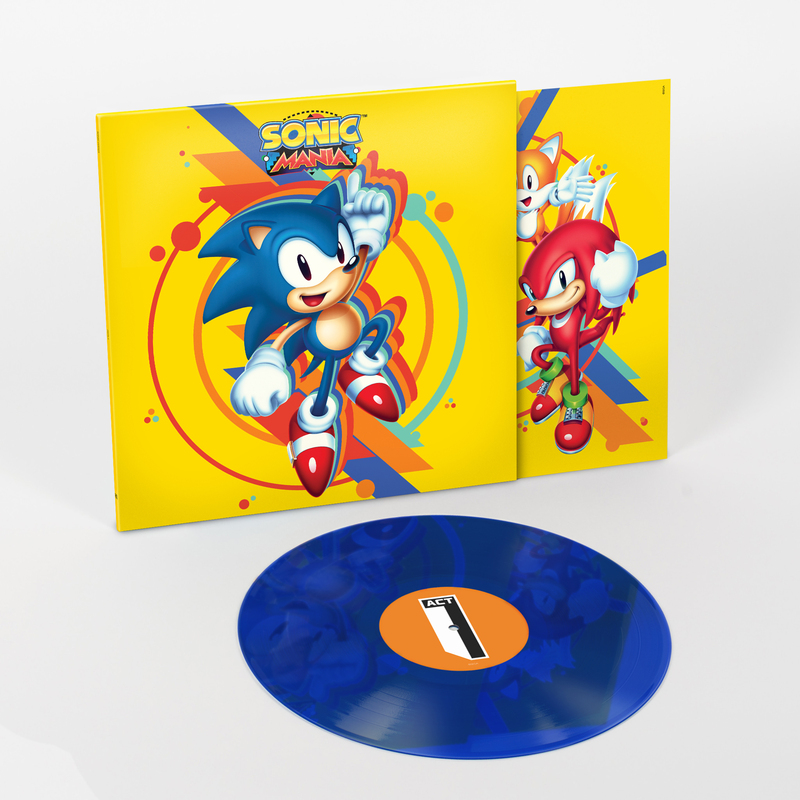 The exclusive vinyl is another SEGA release from the vinyl record company, and Sonic Mania is NOT the next in their numbered series of vinyls. The company has confirmed there will be no OBI (that paper strip found on the edge of other Data Disc releases) and the catalog number is DATA-S. 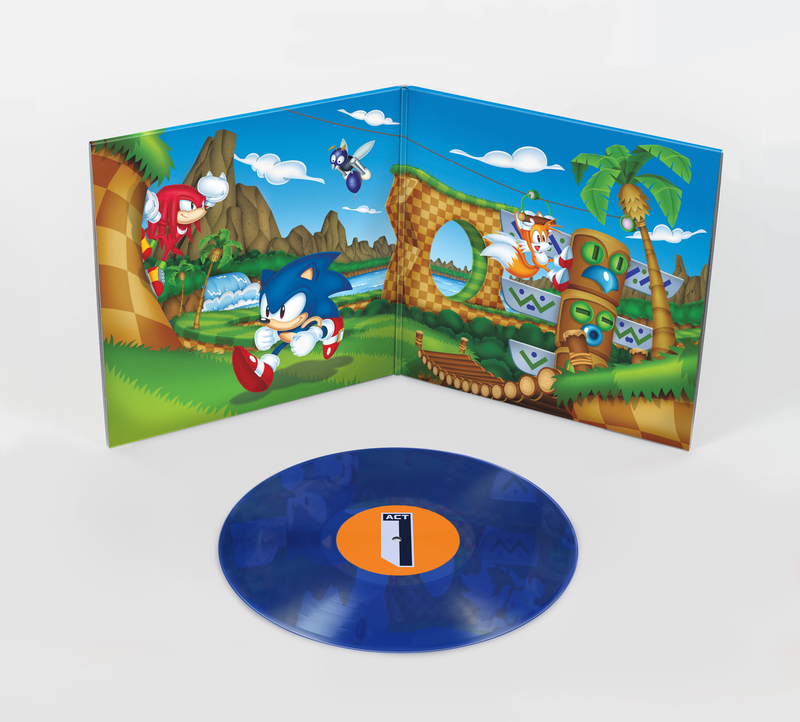 The album will feature select tracks from composer Tee Lopes and exclusive gatefold art in the classic style of Sonic, Tails and Knuckles in the remixed Green Hill Zone. Three variations will be released: blue, black and a limited edition version. Pre-orders start in mid-July, and the album will include a download code of the album tracks in both lossy and lossless formats. After the break check out the press release and the cover art! Burbank, California — June 23, 2017 – Just in time for his 26th Anniversary, SEGA today announced an exclusive Sonic Mania Vinyl Album being released in partnership with Data Discs, the company behind the well-received SEGA Retro albums for classics like OutRun, Streets of Rage, and more. The Vinyl will be available in three variations: Sonic Blue, Classic Black and a Limited Edition version. Pre-orders will open in late July at data-discs.com. Until then, here’s a first look at the album’s artwork! Sonic Mania, recently nominated for numerous Best of Show Awards at E3, will be available on August 15th for PlayStation 4, Xbox One, Nintendo Switch, and PC. Fans can pre-order the game digitally right now for PlayStation 4, Xbox One, and PC here. The Sonic Mania standard edition for Nintendo Switch will be available to purchase digitally at launch on August 15. The previously announced Collector’s Edition of Sonic Mania can be pre-ordered here for a limited time. SEGA® of America, Inc. is the American arm of Tokyo, Japan-based SEGA Games Co., Ltd., a worldwide leader in interactive entertainment both inside and outside the home. The company develops, publishes and distributes interactive entertainment software products for a variety of hardware platforms including PC, wireless devices, and those manufactured by Nintendo, Microsoft and Sony Computer Entertainment Inc. SEGA of America’s website is located at www.sega.com. Data Discs was the first record label solely dedicated to releasing video game soundtracks on vinyl. They carefully remaster soundtracks and present them as officially licensed, high quality packages. Their intention is to promote the work of game composers, which is all too often overlooked, and introduce people to an area of music that, despite being culturally significant in many ways, has seldom been available on any format, let alone on vinyl. Their aim is to release soundtracks that work as standalone pieces; albums that can be enjoyed by casual listeners as well as game fans, and showcase the creativity and ingenuity of the people behind them. They are based in London, England.